The system is suitable for flat and curved façades. 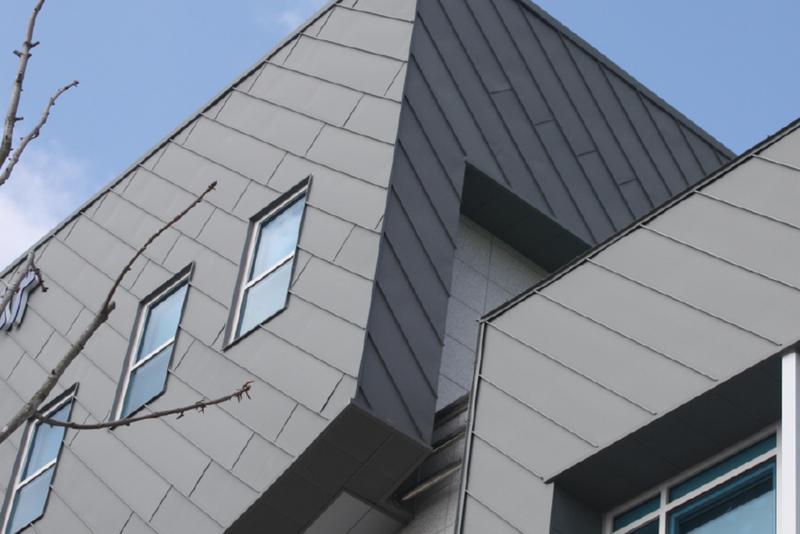 It is a traditional system that continues to be popular for façade cladding due to its attractive appearance, modest price and ease of installation. Its principal joint, subtle but well defined, transmits elegance, lightness and ‘direction’ to the building it protects. It is a very durable, light-weight wall construction that requires virtually no maintenance. Installed in a vertical or horizontal direction, the standing seam offers many design possibilities which enable it to be used in different styles of architecture – from traditional to contemporary. The façade is normally built as a ventilated construction, with all of the inherent advantages that this brings to the building. The fixing is hidden and indirect. It needs a continuous support behind it and normally uses thicknesses of 0.7 and 0.8mm.